Really stoked to get to work with such amazing people in the field of Geometric design. Corey Divine is an amazing designer and Tattoo Artist in San Francisco and we joined forces and brought our mandalas together on this piece to form Seven Chakras. On the front of this hood is a design that is based off of the ancient symbol of Vesica Piscis, the root of harmonic porportions. 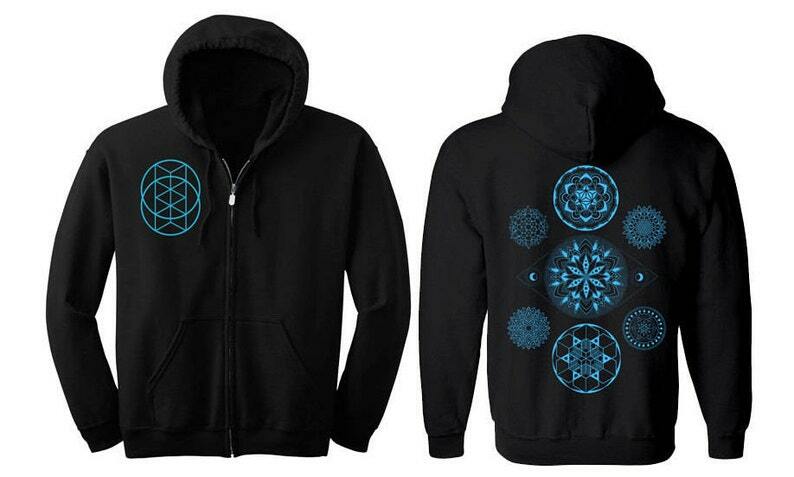 beautiful hoodie! fits perfect. thanks!